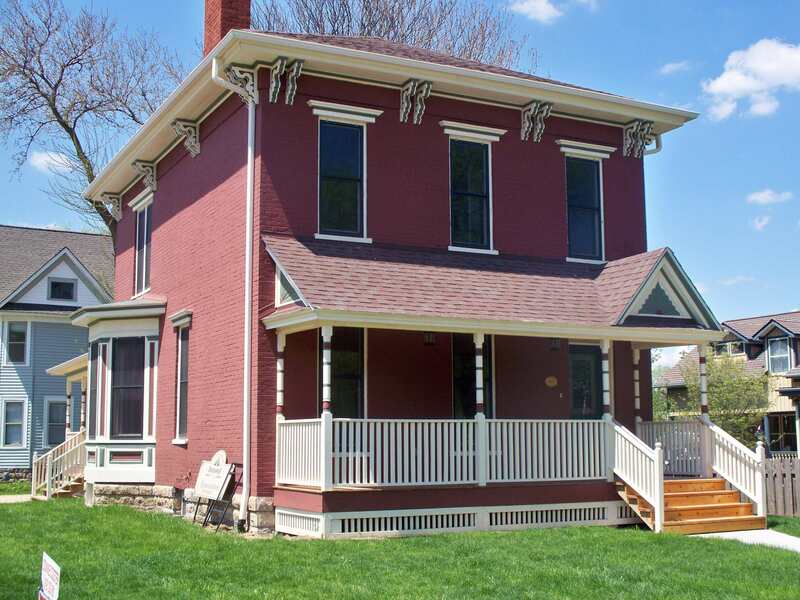 In celebration of National Historic Preservation Month in May, the Rock Island Preservation Society (RIPS) is presenting its annual Historic Preservation Awards and Certificates of Recognition for work completed during 2012. Public presentation of the awards will take place at the Rock Island City Council meeting on Monday, May 20. Each year RIPS honors individuals, groups, or businesses who have made special efforts to preserve or restore historic structures in our community or whose actions have served to support historic preservation in Rock Island. 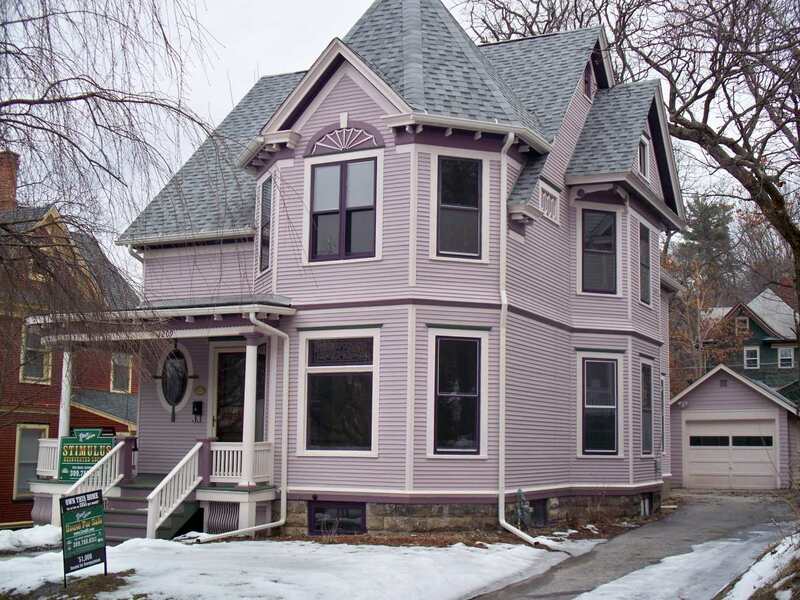 Our awards are given primarily for exterior restoration that can be enjoyed from public right of way and are for work which was completed the previous year or, in some cases, earlier. This year we are presenting Preservation Awards for two home projects; four Certificates of Recognition, also for home projects; and a Special Media Award for an inspiring documentary video. Following is a listing. 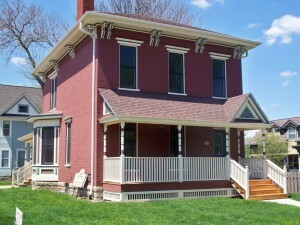 This 1869 brick home in the Broadway Historic District is now a designated Rock Island Landmark. It was given a complete interior and exterior restoration and renovation under the Neighborhood Stimulus Program. Although the home had been maintained for much of its earlier life, it had been vacant for an extended period in recent years and had fallen into severe disrepair. The extensive exterior repairs involved reconstructing and restoring porches, including replacement of columns and balustrades on the front porch that had been missing for decades. Original windows were kept and repaired. Another project completed by GROWTH under the Neighborhood Stimulus program restored a small home in a prominent 25th Street location. 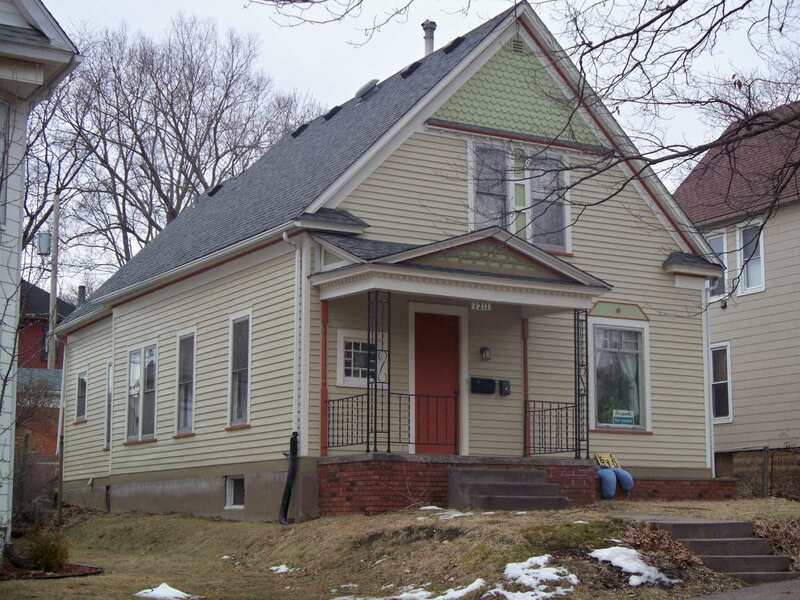 The home was “unveiled” of its newer siding and a large front porch that had been enclosed for a long time was opened and restored, giving a much more welcoming view from the street. Located in the Broadway Historic District, the unique garage behind 816 23rd Street has a style that is almost like a commercial building. Rather than the common gabled roof, this 1920s era historic garage has an ornate parapet crowning its walls that conceals the actual roof. 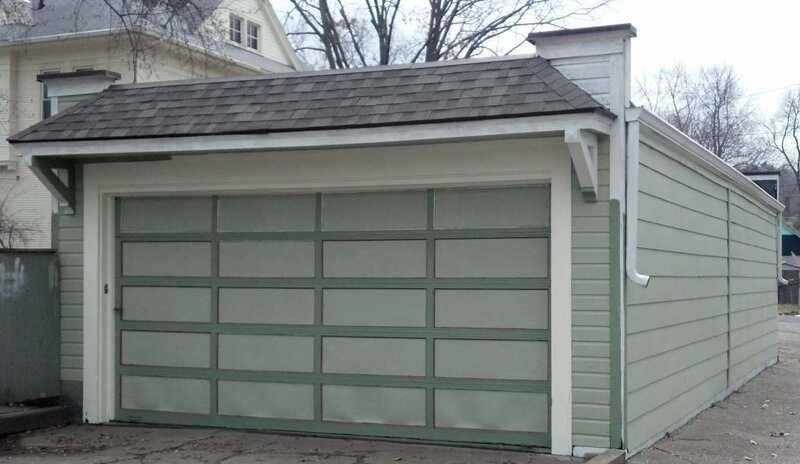 Ms. Williams restored the garage to its original appearance by removing later siding and protecting the metal parapet with extensive new metal flashing. 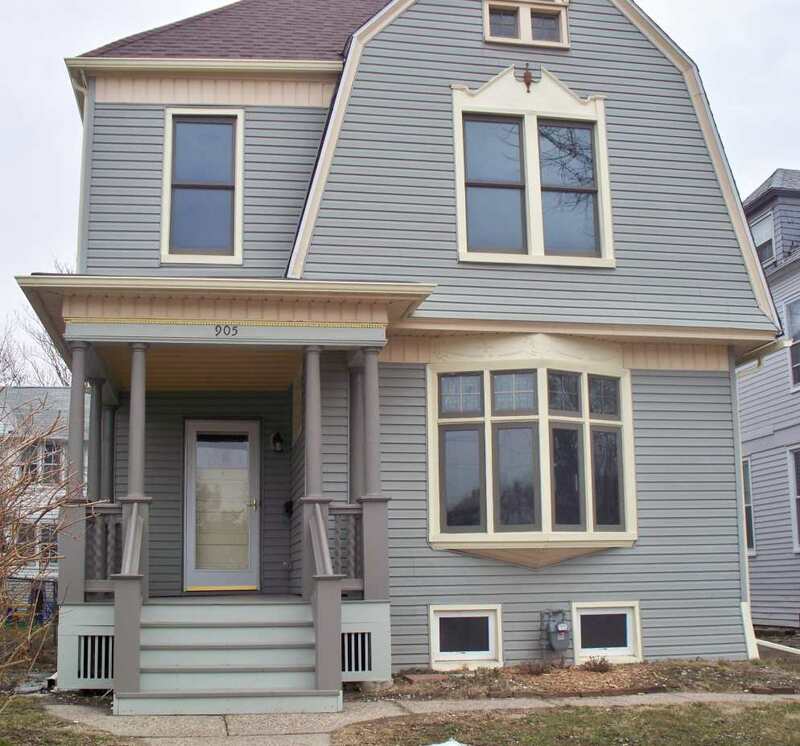 This 1 ½ story home in the Broadway Historic District was “unveiled” as a neighborhood event. The owners then undertook the repairs that are always needed after unveiling, and painted the original clapboard in appropriate colors. 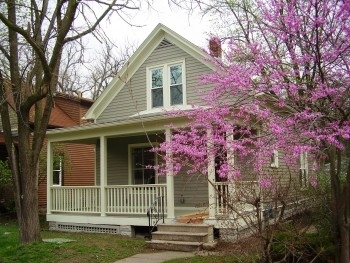 During their rehab project at 905 20th Street, GROWTH found it necessary to completely rebuild the front porch. This meant that the balustrade (railing) had to be higher than it was originally in order to meet current code standards. Thanks to skillful carpentry and a conscious effort to make it look right, it is not at all apparent from the street that the railing does meet modern codes. This is especially important for this house because it has a “twin” next door with the original porch. 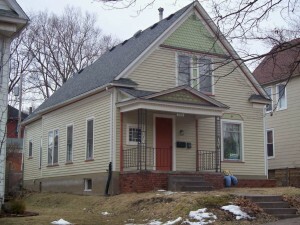 Note that the modern siding and new windows were present before the GROWTH renovation. 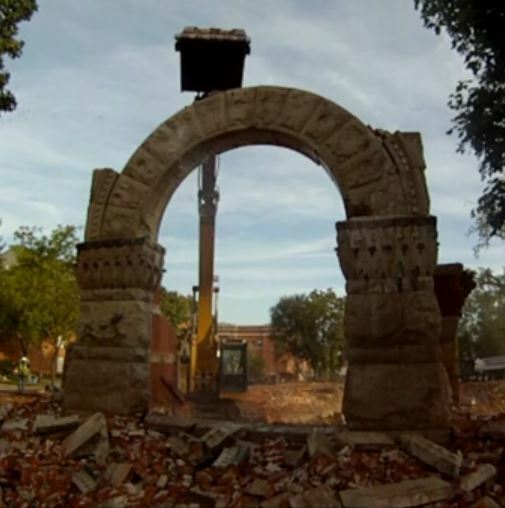 When GROWTH began their renovation of the home at 1209 21st Street in the Broadway Historic District, it was important to retain the historic small garage. 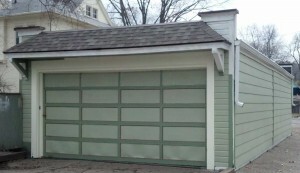 Needed repairs and a new door make this garage functional once again. 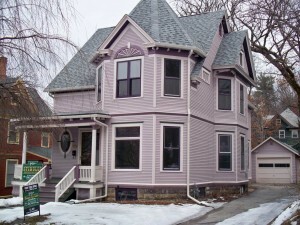 Although the house exterior was largely original, stained glass window transoms were removed for repair and reinstalled.